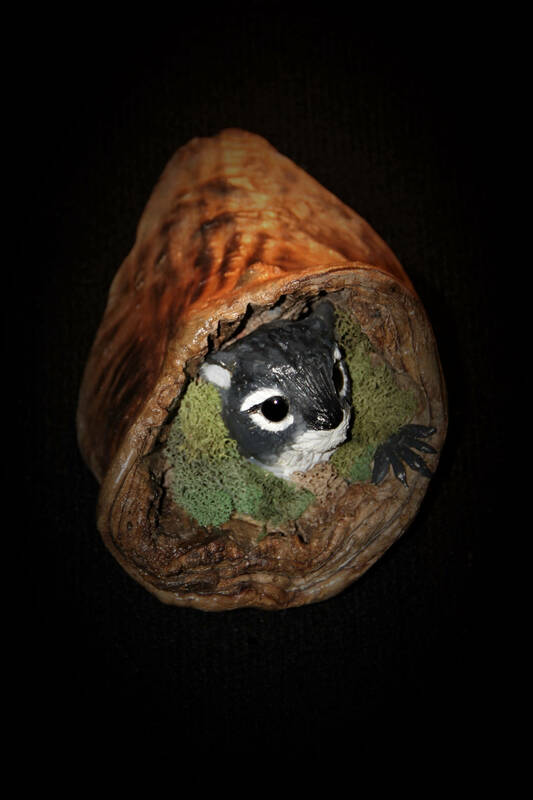 This curious squirrel is hand carved and sculpted with the use of epoxy clay. 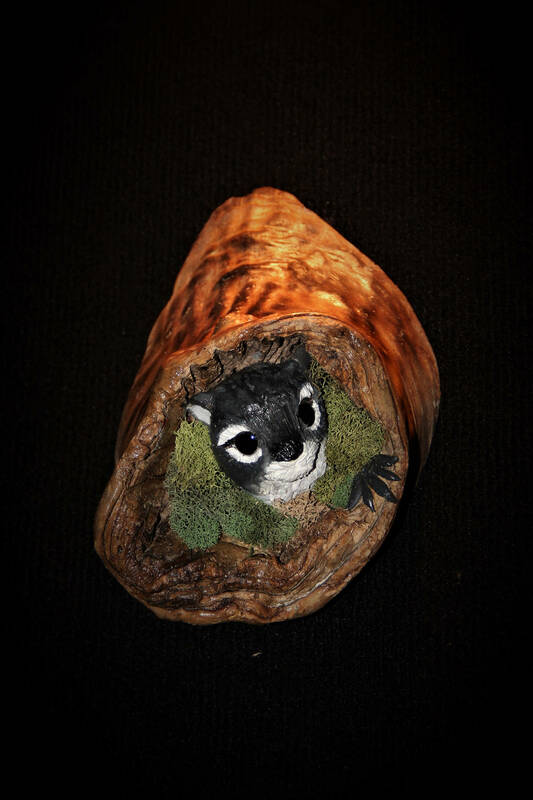 Then I hand paint the little fellow with acrylics. I use glass eyes because they provide a more realistic touch. 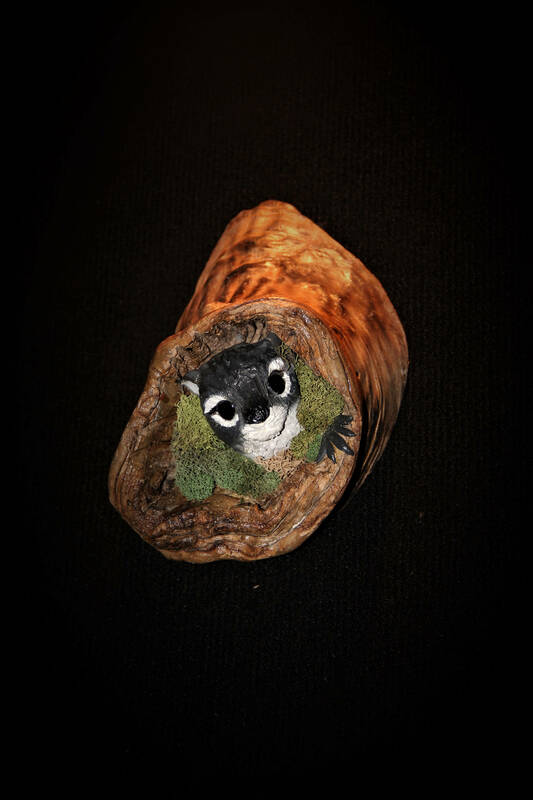 I want to give each wood carving their own personality and hopefully add a bit of whimsy and nature to your home.